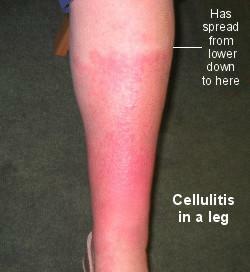 Luckily, not many of my clients get cellulitis, but those that do, tend to get it regularly. For those of you lucky enough to have never heard of cellulitis, the following is a definition by the Mayo Clinic (http://www.mayoclinic.com/health/cellulitis/DS00450) – Cellulitis (sel-u-LI-tis) is a common, potentially serious bacterial skin infection. Cellulitis appears as a swollen, red area of skin that feels hot and tender, and it may spread rapidly … Left untreated, the spreading infection may rapidly turn life-threatening. That’s why it’s important to seek immediate medical attention if cellulitis symptoms occur. I have two regular clients who struggle with cellulitis. For both of them the attacks come with no warning – they can go from normal to making their way to hospital within an hour or two of feeling the symptoms come on. And that’s not an exaggeration, I wish it was. If they are lucky enough to be in town and can get to their “usual” hospital, the one with all their files, then they are in luck. They don’t have as much work to do – a quick explanation to the triage staff of what their bodies respond to and they can be admitted pretty quickly. Depending on the severity of the attack, it can be a few days to a week before they can go home. If they happen to be travelling, even interstate, then that’s when the fun starts. Then they have a battle over everything … no, you can’t use that arm for a cannula, or to draw blood – why? Because the veins are so traumatised that you can’t get in any more, you might have to try my foot instead. Ouch. Trust me, even if I let you try, all you’ll do is end up bruising me and you won’t have any joy. Somehow they never listen and insist on trying, wasting time and causing bruising. Then there’s the battle over which antibiotics the hospital would like to give as opposed to those that work for that particular person. Anyone who has had repeated attacks of cellulitis knows exactly what works and they can tell you, if you’ll listen. The list goes on and on. One of my two clients can end up in hospital almost on a monthly basis … and that’s in spite of the fact that she gets a shot of antibiotics every month as a prophylactic (actually, that has slowed down her visits, but they still happen). Some of the risk factors that affect both of my clients are obesity, prior surgery with lymph nodes removed, lymphoedema and a weakened immune system. They are both very active and fit in spite of their limitations, walking, going to the gym and water aerobics. And what keeps them out of hospital? Regular manual lymphatic drainage and extreme vigilance. The lymphatic drainage keeps their immune systems in check, reduces their lymphoedema so that their skin is kept healthy and doesn’t crack or weep and keeps pathogens moving out of their bodies. If they do have a flare up, they go straight to hospital and will only come and see me once the antibiotics have kicked in and brought the infection under control – it is contraindicated to have massage when there are any signs of infection in your body – redness, heat or swelling. Just think, the more we can get the benefits of manual lymphatic drainage publicised and into general knowledge then more people who will have it regularly … fewer people will develop cellulitis … so fewer people will take up beds in hospitals. Here’s hoping! LTU-904, purchased from RianCorp Pty Ltd. I have to thank one of my favourite clients for making this possible, she very kindly gave me a significant donation towards the purchase cost and I feel very honoured that she felt me worthy. I wrote a post about her some time back, read it here https://ozhiggins.wordpress.com/2013/02/11/inspiring/. 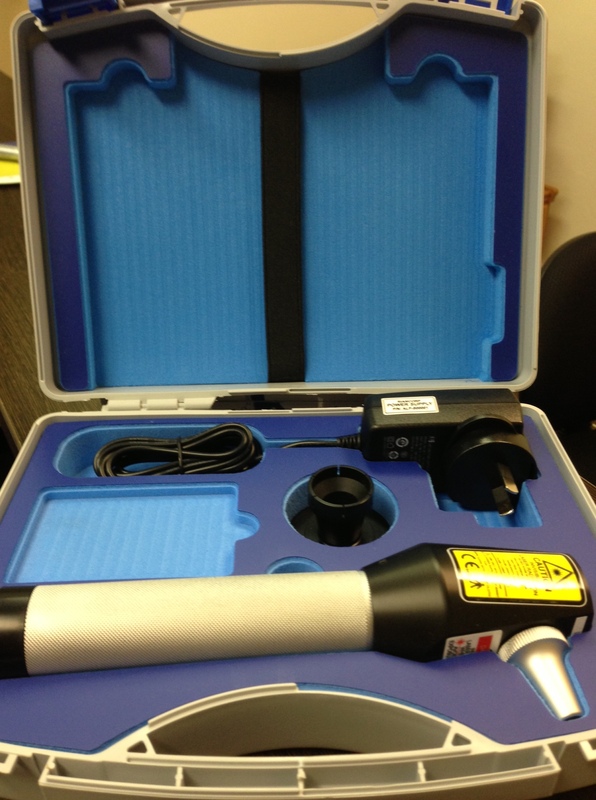 And I also need to thank another of my favourites for talking through the pros and cons of the laser over the L-dex and for her time and effort trying to organise a community grant for the purchase of the laser – we weren’t successful, but it’s amazing that her husband fronted up to Bendigo Bank and asked for the grant on my behalf. Have I mentioned before that I have some very special clients? A few years ago I lived in Dubai. Not many people (outside of Dubai that is) are aware that Dubai is a bit of a Mecca for cosmetic surgery and injectables. I worked at a “medical spa” while I was there – it was a essentially a beauty parlour, offering facials, wraps and hair treatments, but it was headed by a doctor who specialised in botox, fillers and slimming treatments. At the time they didn’t offer any surgeries (they do now). I often recount a story from my first day at work there – as I was coming down the stairs the doctor gently took my hand and asked me to come back upstairs with her. Perplexed I said sure and then asked why. She said “oh, I’m just going to put some filler in here and here and some botox here!” I was a little taken aback and pointed out that I liked to do things naturally and that I didn’t even colour my hair. She pulled me to the window and had a good look and said the hair just wouldn’t do and that natural is fine when you’re in your twenties but after that you need help!!! Holy moley. What do you say to that? Well, I ran away as fast as I could and after two or three more attempts on her part I made a deal – I’d wear makeup to work every day and she had to stop asking (and I had a word with the owner of her business on the side too). I tell the story to lay the background to the normality of cosmetic surgery in Dubai. I sent letters to a few of the cosmetic surgeons to introduce myself. Manual lymphatic pre and post cosmetic surgery speeds up healing and enhances the surgeon’s work so it’s a good fit. I managed to meet a couple of the surgeons, one was very respected and had been in Dubai a long time and the other was newer to the area but he and his brother had pioneered vaser liposuction and so he was interesting as he had a slightly different approach. I’m going to talk about my experience with the first surgeon. He was very charismatic and of course looked great. I went to his office and explained how my work could benefit his patients and he seemed interested. A couple weeks later he called me to say he had just done a facelift and wanted to send the patient to me to “try me out”. Sure I said. He then asked me to do it for free which I refused – can you imagine? Hello doctor, how about you give me a nose job for free so I can see if you’re any good. Somehow I don’t think that would ever happen and I didn’t see why I should be expected to work for free. He accepted that but I conceded that I’d do a reduction on the initial consult. So he said he’d send her and “oh, I don’t want you to push fluid downwards, I’ve done too much work for you to ruin it”. I tried to explain that there are no lymph collection vessels on the top of the head and if I directed fluid upwards she’d end up with fluid in wrong place, but there was no telling him. So I decided to just say I’d do it how wanted, but to actually follow the correct procedure with the patient. In came the patient a couple days later. She looked pretty good, clearly swollen and bruised but not too bad. She hadn’t been allowed to wash her hair as yet so that was a bit gruesome. And the first words out of her mouth? “The doctor said to remind you to push the fluid upwards”. Honestly. He may be a great surgeon, but he knew nothing about the lymphatic system and his arrogance was doing my head in. So I started the treatment, clearing the main nodes in her neck, armpits, chest, abdomen and groin area. Then I went back and cleared her neck thoroughly so I could then start to send fluid DOWNWARDS to the nodes in her neck like I’m supposed to do. So help me, by the time I finished clearing her neck she was sound asleep, almost snoring, so I was able to happily clear the fluid downwards to her neck without her interjecting about what the surgeon said. She woke up at the end of the treatment and sat up and commented that some of the numbness had gone as well as some of the tightness from the swelling and she could move her face more. She was thrilled. The surgeon called me to say he was happy with how it went and would be ok with her coming for more treatments, but don’t forget … you guessed it “don’t push the fluid downwards”. Agrhhhh! He did send more patients to me thank goodness and I never did ‘fess up to him that I didn’t follow his instructions, but basically, in that instance, I knew better. The moral of the story is, manual lymphatic drainage is beneficial after cosmetic surgery, helping to reduce swelling, bruising and numbness and of course helping to eliminate toxins from the anaesthetic and antibiotics. A few weeks ago I spoke about a lovely man, P, who comes to me to work with his eczema. He’s pretty extraordinary in himself. His partner, V, is a whole other ball game. I’m struggling for words to describe what our sessions are like as no two are even remotely the same. P and V always come together, P gets on the table first followed by V. They kiss before they go in and it’s as if they will not see each other for days, rather than an hour and most times they wait for each other in the reception area. They are absolutely the most perfectly paired couple I have ever met. When V first came her main hope was to get some relief from the pain she suffered monthly during her period – she was taking anti-inflammatories via suppositories for the pain and if she didn’t get them in time she ended up in hospital, sometimes on morphine. Now that’s real pain. She had surgery for endoometriosis but still the pain continued. Her lifestyle was very clean – she ate fish but no other animals, didn’t drink alcohol or take recreational drugs, meditated daily for an hour – she had as much natural in her life as she possibly could. Like P, she took homeopathic medicine and natural remedies so taking anti-inflammatories and morphine really wasn’t what she wanted in her life. The first couple sessions we used craniosacral therapy to work on calming her system down and releasing restrictions gently and some Emmett Technique for some knee issues she was having looked at by the physio. After the first treatment she had relief from pain in her knee and generally felt happier and more positve. Next session we continued with similar treatment and she had a big nasal release. She said the nasal work had a big result – in the shower the following morning she had a gush of blood from her nose, which stopped quickly and then there was massive relief. She continued having both physical and emotional releases. She got her period about three weeks after we started and didn’t even need to take a Panadene – for the first time in 15 years! I have to say that the period pain did fluctuate a bit at the start but it is not an issue any more, can’t remember the last time we’ve even spoken about it. And her physical aches and pains have kind of taken a back seat. My patient notes are usually very detailed but for V they’re minimal, just because it’s difficult to put in words what we cover and I’m not sure it would make sense to anyone reading them anyway. A typical session may start like this … “oh my goodness, I’ve been so looking forward to this. I feel like today I need grounding so if we start with a massage to my legs and back then we can do some energetic work at the end, they say we need to look at such and such”. It’s really useful having such specific instructions. It’s never quiet for long, there’s usually some sort of update on what she’s feeling, what kind of release she’s having in a physical sense as well as on an energetic/spiritual level. Interestingly, I sometimes get some very strong impressions or feelings when I’m working with V, seeing very vivid pictures in my head which I think are way out there and part of my imagination, only to have her pipe up something like “wow, I just had this feeling of being stabbed in the left shoulder by a lance while I was charging on a horse” or some similar event which TOTALLY matches what I saw. Sometimes I feel compelled to say a word or phrase to her and that thought is often going through her mind right at that exact moment. I don’t get that with anyone else I work with … this is not a normal occurence in my room. But it makes for very interesting sessions. It has been a steep learning curve for me, I’m learning to let go and trust what I’m feeling, particularly when working with someone who lives totally intuitively. The shifts happen when you can work together to let go of stress on a physical, emotional, mental and spiritual level and that is what V does. I learn something about myself every time we work together and I look forward to every visit – it is certainly never, ever, ever dull. 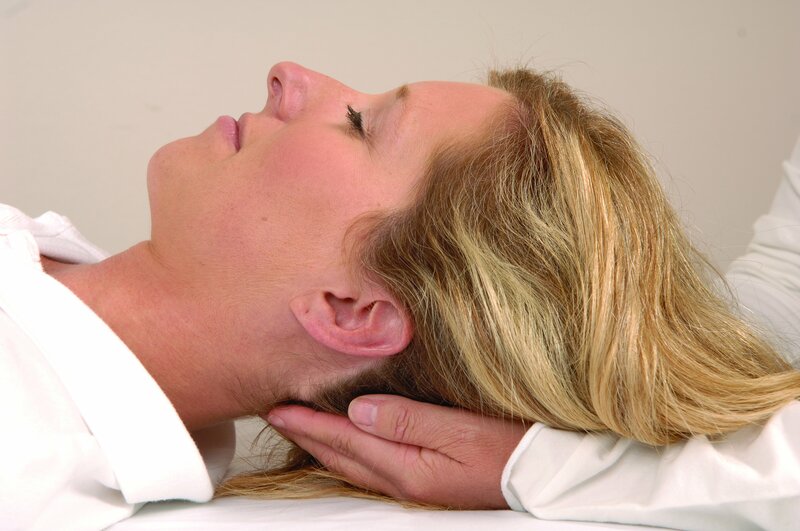 If you’d like to find out a little more about craniosacral therapy, have a look at http://www.upledger.com/content.asp?id=61.